Getting into "a rut" is something that most photographers want to avoid, but for the wildlife photographer, "the rut" is a time we should all look forward to. For us, the rut is that time of year when deer species put on a great show for us. The rut, if you don't already know, is the portion of year when deer of all sorts begin the mating process. In the eastern US, this time usually begins in late October and peaks by mid November. During this season, the whitetail buck, and the bull elk pay attention to finding and protecting and mating with their females. In this article, I am going to explore the whitetail deer and their behavior during the rut. I am also going to look at how we might be able to take advantage of this time, as photographers, to produce great images. First, let me say that this year, is my first year photographing the whitetail seriously. I have shots of them that I have taken over the years, but I have not dedicated a great deal of time to finding them and photographing them. In fact, I don't even have a great shot to post in this blog. I do come from a family of hunters, and so I understand the rudimentary principles behind finding them. Up until now, I have been satisfied to photograph elk, but this year, that all changes and "the hunt" begins. So follow along with me and see if we can't find the whitetail deer. Perhaps no other wild animal has attracted so much attention than the whitetail deer. From the hunter's perspective, they provide a healthy steak and a nice rack of antlers to put on the wall in their den. For others, they are often thought of as pretty, cute or beautiful. Thus, where we get the term "she has beautiful doe eyes." For me, I think it is the whole package. From the beauty of the changing colors of their coats, to the powerful, sleek and fast adult buck challenging the rival males. Yet, on the softer side, the tiny fawn curled up and sleeping in the tall grass is a scene sure to warm even the most hardened soul. 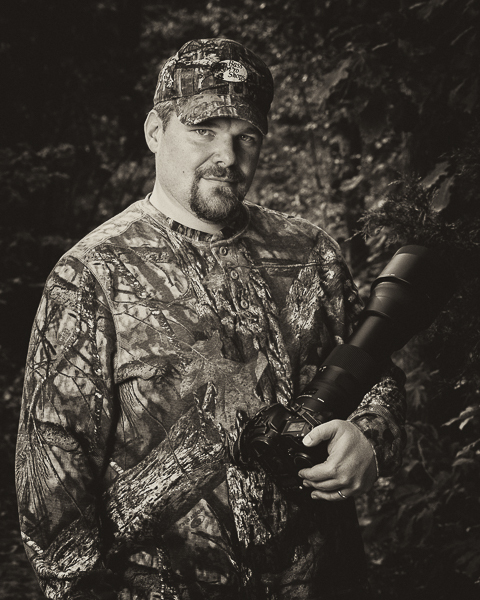 Why is the rut the best time to photograph the whitetail? The fact is, you can photograph deer at any time of the year, but finding them during other seasons can be more difficult, time consuming and require more stealth. During the rut, the whitetail male deer, called the buck, is so busy being full of testosterone and sniffing for potential mates, he may just pay us no heed at all. Which of course, as photographers, is really what we want, right? We want our subjects to pay no attention to us and simply go about there business. How am I going to locate the deer? Well, this is one of the more tricky aspects of photographing whitetail, but my thoughts are simple. Since I are not hunting the deer with a rifle, I can take advantage of national parks. Once you find a national park such as the Smokey Mountain National Park or Shenandoah National Park, you can adapt the following strategy. Look for the Deer Lay - a deer lay is a depression made in high grass fields where the deer has been bedding down during the day. If you see many in a small area then you have tapped into a good location. Look for Converging Game Trails - a game trail is a trail that animals use frequently to get from one location to another. For example, you might find them leading to a water source. If you see a lot of game trails, you have a location that deer frequent. Look for Rubs - rubs are are places on trees, where the deer has scraped his antlers. He does this for a variety of reasons. First, to mark territory, next to get all the velvet off his antlers and turn them into weapons, and finally out of sheer aggression during the rut. If you see a tree tore up that is over 4 inches in diameter, then you probably have a big buck in the area. Look for Water - use a topographical map or Google Maps to look for water sources near the location you are scouting. Look for Interesting Food Sources - by interesting food sources, I don't mean typical forest food, but rather farmer's corn fields or apple orchards. Deer are suckers for apples and quite fond of corn as well. Remember, in National Parks, you can't use decoys or baits to attract animals. No salt licks or piles of corn, sorry. Comb the Internet - the internet is a good source for information on whitetails. Look at hunting magazine sites to find out more tidbits on finding deer. Don't forget to bookmark these sites! If you find the first three bullet points in one spot, then your scouting work is done. You have found them, now get out there and photograph them. The timing of the rut has baffled biologists for many years and for that reason, it can be hit or miss when trying to find the best or peak rut activity. Instead of worrying about moon phases and temperature, I am going to just get out there and see what I see. This year is all about scouting locations and finding the deer. If I get some great shots, then I have succeeded beyond my goals. I think too many hunters and photographers spend too much time planning and not doing. So my advice on this point is to just get out there, find them and photograph them. Maybe you don't find the big buck, and maybe you don't get the shot of two bucks fighting, but any field work is valuable. Mark your calendars, because October through November is big buck photography time! I was contacted today by a young man, let's call him Rick, who wanted to take the time to type out of his busy day, email me, and say he was following me on Instagram. He also wanted to express how much he liked my images. I don't know Rick, and he doesn't really know me, but in a sense, he really does know quite a bit about me. My images, hopefully, speak volumes about who I am as a person. If not, I have failed. One of the reasons I do all of this, is to show my craft to others, not just for bragging rights (yeah we all like to be liked), but so others can get a fraction of the feeling that I felt when I made the image. I think that is really the photojournalist part of me that wants others to experience my memories. I believe it was Moose Peterson who made the statement that photographs are memories. On another note, a big reason I also create a clean podcast with no obscenities or irreverence, is so folks like Rick can listen and not get hit with the nonsense that bombards us everyday. The Matt Cuda Photography Podcast, website and related media is now, and will always, be a safe place for families like Rick and his parents. You can fire up the podcast, blast it on your minivan's Bluetooth, and rest easy knowing it is G rated. You might get tired of my voice (that's OK) but it will be clean. Thanks, Rick, you made and old photographer happy today with a simple gesture of good will. We have all been there. You are excited to be out of the house and in the wild. You stand ready to capture the photograph of the elusive critter for which you have been waiting for the last two hours. Suddenly, with little warning, a bald eagle makes a sharp turn, his wings spread to make the perfect dorsal shot. Without hesitation, you lift your camera, lock and and fire a burst. Later that evening, you import your images, and open them in Lightroom. 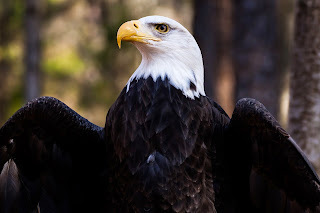 You quickly scan the images, and there it is, the dorsal shot of the bald eagle, but it doesn't look quite like you remember it or even how it was displayed on the LCD. How can this be? What could have happened? What happened is, you missed the shot! Sorry folks, but we all do it, and that is why there is more junk posted on your favorite social media then there are sharp, well composed images. Although the temptation to try and fix this out of focus image is heavier than a dead preacher, for the sake of the world, please don't do it! Instagram is loaded with images that, although were of a great species, are so horribly over-sharpened or the noise reduction so overused, they are smooth and lifeless. Sometimes I can't even tell what the species is supposed to be. Go ahead and keep the image in your catalog for reference and documentation. You were there, you found the subject, and that is half of the battle! A total congratulations on that piece of the puzzle. Next time, when you go, you can get the shot you wanted and have something incredible and worthy. That is what makes photography so exciting and rewarding! It's the thrill of the chase that eventually ends in success. Don't give up, and keep shooting until you get it right. That is the real reward! I am not stupid enough to tell you that I am the best photographer that ever picked up a camera, and I don't have all the answers, but maybe this FREE video can help you to look at your images with fresh eyes. I discuss what is too much sharpening and how your image should look after importing. I make mistakes every day and it is through these mistakes that I learn to move forward and better myself. You can do the same.